Interview on Reed Hastings and Netflix, December 23, 2018, BBC Radio 4. Interviews on Millennials and Clinton support, October 26, 2016, Christian Science Monitor. Interview on social media elections, May 5, 2016, Reporting Texas. Interview on Millennials and living at home, July 31, 2015, YourTango.com. Interview on Generation X, July 28, 2015, Redbook Magazine. Interview on shaming in digital culture, July 28, 2015, Santa Barbara Independent. Blog post on citizen surveillance and privacy, June 11, 2015, Culture Digitally. Interview on Millennials and finances, June 9 2015, CBS News. Interview on presidential candidates and ageing, May 28, 2015, SeniorPlanet. Interview on publicity for new organizations, May 19, 2015, BizJournals. Blog post on My Stealthy Freedom, April 21, 2015, CGCS Mediawire. Interview on Hunger Games and digital role play, November 25, 2014, Wired Magazine. Interview on millennials and clutter, November 10, 2014, SpareFoot. Interview on Facebook NewsFeed algorithms, October 30, 2014, KYW CBS Philadelphia. Interview on GoldieBlox and marketing to children, October 22, 2014, BizJournals. Interview on social media and infamy, September 30, 2014, Morning Call. 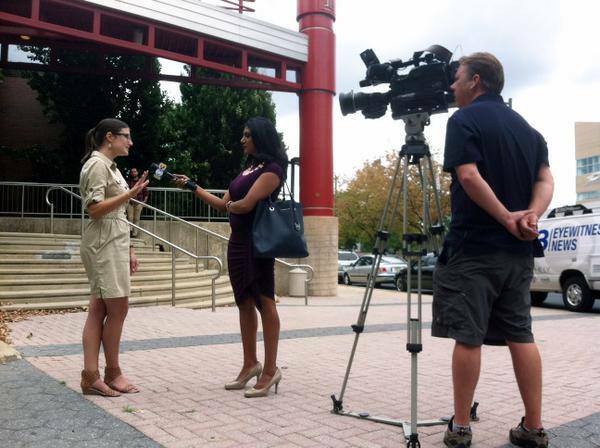 Interview on social media and public outcry, September 8, 2014, CBS Philadelphia. Article for the Huffington Post: The Commencement Speech They Should Have Given, September 16, 2013. Article for the Huffington Post: The Name Game, July 29, 2013. Interview on Political Attack Ads, September 6, 2012. Interview on Slouching Towards Adulthood, August 27, 2012. Books & Bagels January 20, 2012: Millennials in the Media (begin at 26:30).